No audio files for Tape #9 because it consists solely of copyrighted material or material of little interest. Intermagnetics Normal Bias Position I C60. Not previously stored in a case. Erasure safety tabs intact. These were removed on 10/09/14. 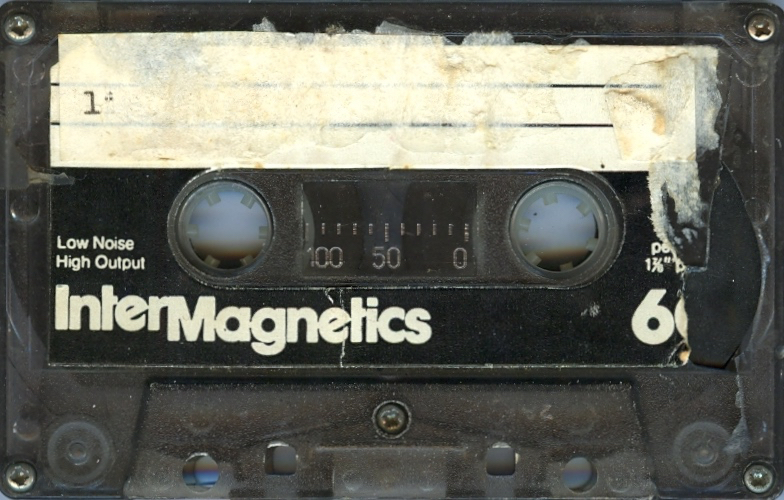 Cassette shell badly cracked/damaged with a piece broken away from Side A. 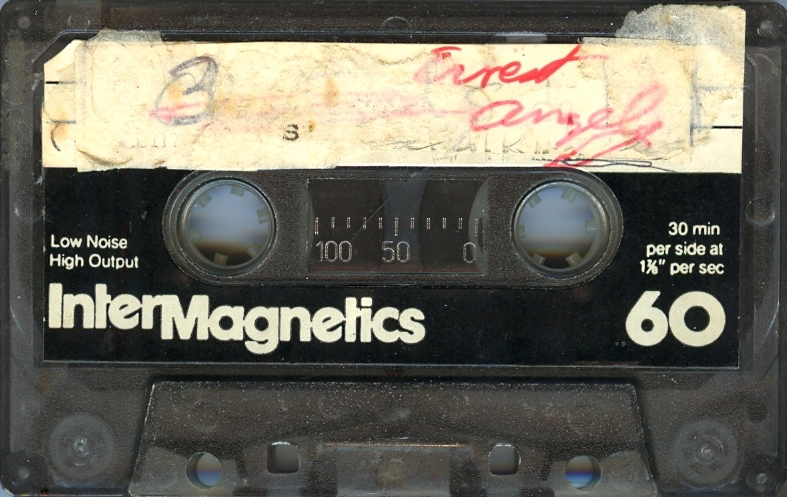 Tape jammed, and came un-spooled, at about the 19 minute mark on Side A, while transcribing the tape. This tape was repaired in March 2015 by Scott Colburn ("The Viscera Dude"). Woody Guthrie - the first side of Library of Congress Recordings, Vol. 3, a copy of a library record.